Celine Dion’s infertility struggle and her long journey of IVF treatments is certainly an inspiring story to read. The ‘Titanic’ singer had much passion and determination to start and expand her family, but she had to undergo numerous failed attempts at IVF until she finally succeeded. Celine had always been eager to start a family of her own. As the youngest of fourteen siblings, she was always surrounded by family. Thanks to her determined fight, she is now the mother of three sons, all conceived through IVF treatment. Celine’s sons René-Charles, 17, and twins Nelson and Eddy, 7, are her pride and joy. Notwithstanding her massive success in the music industry, Celine states that becoming a mother is the achievement that she is proudest of. Celine and her husband, René Angélil, did not expect to have trouble conceiving when they first started trying for a family. Given that Celine was in her early 30’s at the time, the couple were surprised when they encountered problems. After trying for several years, they had still not become pregnant. René was diagnosed with throat cancer in 1999 and at this point the couple decided to freeze some of his sperm. This was a precaution in case the chemotherapy and radiation that he desperately needed caused any damage to his sperm in the future. Fertility tests carried out prior to the sperm freezing, showed that René already had a low sperm count and low motility. Thus, explaining their struggle in trying to conceive naturally. There can be many reasons for a low sperm count in men, and the exact reason hard to determine in many cases. Based on these findings, fertility doctors recommended that in order for them to have a chance at conceiving, they would need help in the form of ICSI treatment. Due to the couple’s problems with infertility, Celine was checked into a New York fertility clinic in May 2000, where she given two small operations to boost her chances of conceiving. This was believed to be in preparation for Celine starting IVF treatment. Dion, 31 at the time, went on a sabbatical for 2-3 years. Celine and her husband underwent their first round of IVF treatment when she was just 33. This cycle was successful and on 25 January 2001, their first son René-Charles was born. Celine’s obstetrician, Dr Ronald Ackerman, who helped to deliver René-Charles by Caesarean section, told People Magazine that “everybody was just crying tears of joy” at the birth. Following the much anticipated birth of their first son, Celine and René were very keen to provide René-Charles with a brother or sister and to expand their growing family again. They had in fact opted to freeze their remaining embryos from their first IVF cycle, for use in later treatments. However, their attempts to conceive for a second time were much more traumatic and lasted a lot longer. In fact, Celine has revealed that she had to have six rounds of IVF before she had a second successful pregnancy. She has also stated that she turned to acupuncture as a complementary measure to increase her likelihood of conceiving with IVF. Research suggests that acupuncture may indeed increase chances of a successful pregnancy. The miscarriage was hard but Celine kept it to herself for a while, saying: “They said that I was pregnant, and a couple of days after, we were not pregnant again. Celine and René’s sixth IVF cycle proved to be successful for them. In 2010, at the age of 42, Celine announced that she was pregnant with fraternal twins. She also revealed that she had originally been carrying triplets, however she sadly lost one of the babies early on in the pregnancy. Celine and René’s, twin sons, Nelson and Eddy were born healthy at 33 weeks by Caesarean section, after signs indicated that Celine was going into premature labour. When questioned about being a mum to newborn twins, Celine said “It’s a great challenge and it’s all amazing. All day I’m in my pyjamas and it’s overwhelming but all good”. Celine has mentioned in various interviews after the birth of her three sons, that she would love to try for more children, especially in the hopes of having a daughter to complete her family. “It’s selfish to keep wanting more, although I would love a girl. Imagine all the shopping, the jewellery, the shoes, the dresses I could give to her” she says. Sadly, in 2016, Celine lost her husband René after his long battle with throat cancer. Celine Dions’s infertility journey has clearly been difficult. Even though she had enough money for IVF treatments, the emotional and physical cost of infertility is something she had to bear like other women. We admire the singer for being open and upfront about her battle with infertility over the years and hope other people do not give up hopes of having a family. No matter how disheartened you feel, there must be an option out there for you. Affordable IVF in Thailand, India, Malaysia, or Spain; the use of donor eggs; surrogacy; embryo adoption; or at last, simply the adoption of your child—be open minded and see what choice works best for you to complete your family. 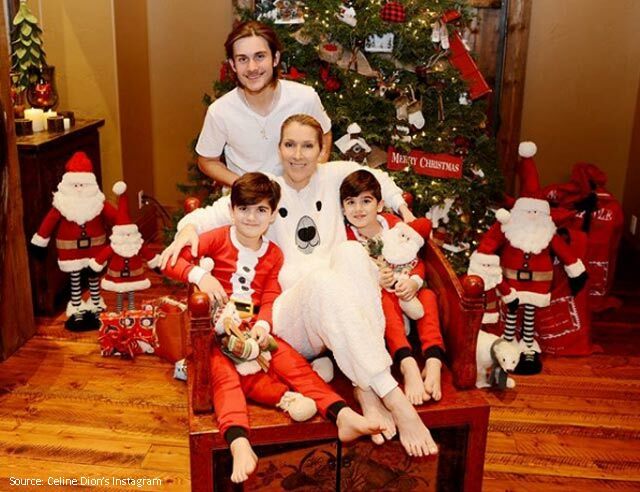 Celine Dion's infertility journey involved 7 cycles of IVF to conceive her 3 sons. She has been quite open about her struggle and everything she did to improve her chances of conceiving. The 'Titanic' singer has spoken at length about the difficulties she went through because she was so determined to have children that she didn't want to give up even after numerous IVF failures. 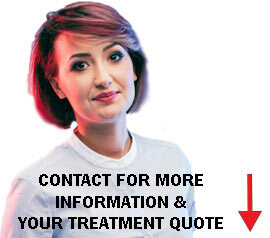 What is the Endometrial Receptivity Array (ERA) test?